Nature has a funny way of not behaving geometrically. When you plot all sorts of variables that describe the natural world—metabolism with body size, population size with home range, place names with population density—they don’t follow a linear relationship, they adhere to a power law. Plants, of course, are no exception. Plant population densities—like human population densities—follow a power law, where larger plants are dispersed ever farther apart. The phenomenon was first described by Kyoji Yoda in a 1963 paper. For his Master’s thesis, he sampled weeds on vacant lots around Osaka, plotting their dry weight against the density at which they grew. He observed that as plant weight increased, density decreased by -³⁄₂. Competition for resources, he reasoned, caused the populations to thin. As plants grew larger, some died out for lack of resources. They just couldn’t compete against the others. Yoda’s self-thinning law is why the Earth isn’t entirely consumed by weeds—they may produce innumerable seeds, but not all make it to maturity. Yoda published his discovery in the Journal of Biology of the Osaka City University. It languished in obscurity for 15 years before other plant ecologists took notice. The self-thinning rule is often called Yoda’s law, and it’s been empirically tested in ecosystems around the globe. It’s a pretty rad name for an ecological theory, which is why it’s a pity that it may not be entirely accurate. A more recent study suggests the theory describing plant population densities should hew closer to an exponent of -⁴⁄₃, not -³⁄₂. It’s a subtle distinction, but one that ultimately means plant densities are driven by their metabolisms. This revelation comes courtesy of Brian Enquist and his colleagues Geoffrey West and Jim Brown. West and Brown are no stranger to metabolic relationships—the pair described how metabolism changed with body size (it follows a power law, naturally). 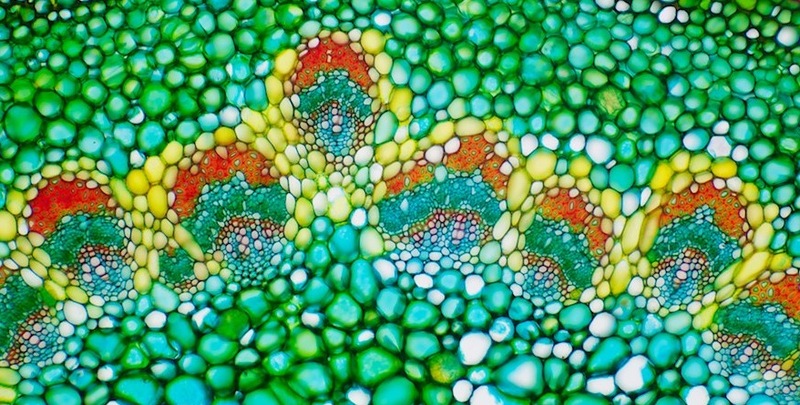 The trio put together a model which describes plant resource use based on the amount of water and nutrients a plant moves through its xylem, or the tube-like tissues found in a plant’s stem. Measuring xylem transport rates is a roundabout way of measuring total photosynthetic rate, which in turn lets you also determine metabolic rate. The logic goes something like this: The more water and nutrients a plant’s xylem can handle, the more it can photosynthesize and metabolize. From these measurements, they estimated that the way plants use resources scales at ¾ power. At first glance this seems way off from the -⁴⁄₃ exponent noted above, but it’s really just flipped. Plant ecologists tend to write the equation one way, while animal ecologists write it the other way. The two exponents are, in fact, equal. Enquist, West, and Brown’s model may not completely sink Yoda’s law, though. They point out that their model doesn’t necessarily describe self-thinning of plant populations witnessed in the real world. Rather, their -⁴⁄₃ power relationship predicts how much plant biomass an ecosystem will produce based on its resources. A grassy ecosystem can have the same level of productivity as a forested one provided the same level of resources are available. Photo by Tatcher a Hainu.